Won’t you (not) be my neighbor? Residents living within three miles of dense areas of industrialized hog farms are more likely to die sooner and suffer from chronic disease than people who don’t. A study by by Duke University scientist Julia Kravchenko defined high density as at least 215 hogs stuffed into four-tenths of a square mile — 249 acres. Hog farms in North Carolina usually house between 1,000 and 10,000 hogs on even smaller plots of land. In these rural zip codes, rates of kidney disease, asthma, anemia, cervical and uterine cancer, low birth weight, and high blood pressure during pregnancy were all higher than the US and North Carolina average. Death from all causes ranked eighth in the nation. Kravchenko, who discussed her research at the annual Environmental Health Scholars Forum yesterday at Duke, noted that it’s too early to conclude that living near giant hog farms — with their odors, air pollution, and pathogen-ridden open-pit waste lagoons and spray fields — cause these diseases. However, it could be a contributing factor, along with such as poor access to health care, education level and poverty. Nonetheless, even when adjusting for some of these socio-economic factors, the rates of some diseases, such as uterine cancer, still exceeded state and national averages, Kravechenko said. Estrogen exposure is believed to contribute to uterine cancer, and coincidentally, elevated levels of the hormone were detected in surface water, ground water and runoff discharging waste from these hog farms. Estrogen can be used on hog farms to control breeding cycles. Iowa and Minnesota, the No. 1 and 3 hog-producing states, respectively (North Carolina ranks second), did not show the same pernicious health effects on neighbors. There could be many reasons for these disparities, Kravchenko said, like the average number of hogs raised per farm. In North Carolina, the average is 1,583; in Iowa, it is 955. And in Minnesota, the figure is 727. Michelle Nowlin, supervising attorney for the Duke University Environmental Law and Policy Clinic, said Iowa and Minnesota also use different methods of managing hog waste. For example, in Minnesota, the weather is too cold for open-pit lagoons, so farmers collect the waste and store it below ground, then spread it — not spray it — on their fields for fertilizer. The soil composition is also different in the Midwest than on North Carolina’s sandy Coastal Plain. Hazardous air pollutants from hog farms — particulate matter, plus 45 compounds, including ammonia — can be detected as far as 15 miles away. 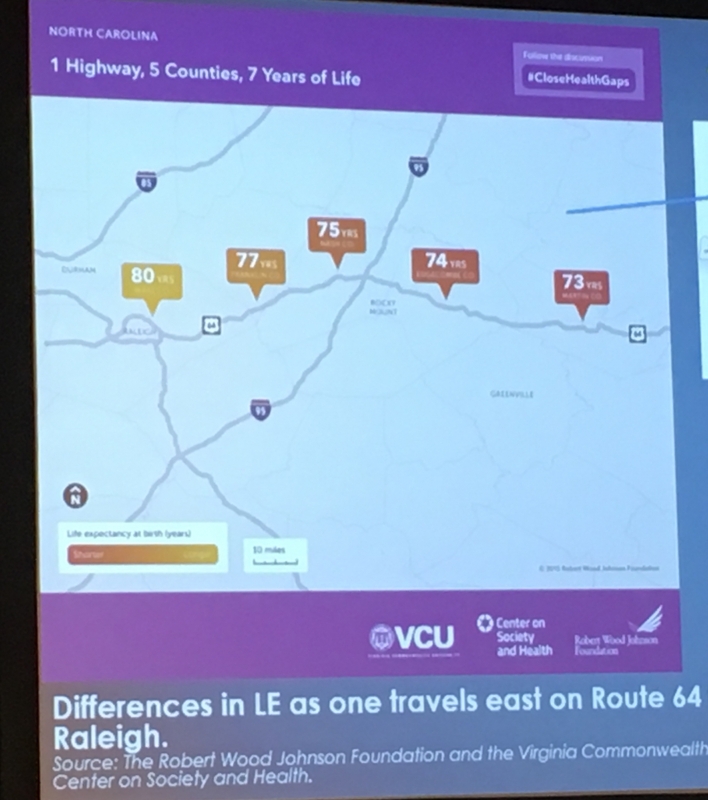 That’s the same distance as Raleigh to Cary. However, the legislature passed a law amending the state’s odor rules, said Jamie Cole, policy advocated for the NC Conservation Network, which exempt renewable energy facilities. If Smithfield makes good on its promise to generate biogas at its hog operations, then they can stink without penalty. Previous PostNext Tuesday’s election: The latest referendum on America’s broken healthcare systemNext Post Why do I plan to be a pro-education voter on Tuesday? Because we can’t sit back and let others decide our future.